3 bedroom, 2 bathroom with view of forest, total privacy. No neighbors in sight, great for birdwatching or just sitting on the back deck with a coffee in the morning, our cabin is the perfect place to get away for a bit and enjoy the Mississippi woods. 16 minutes away from Oxford and 15 minutes away from Water Valley. Fully equipped kitchen with indoor and outdoor dining tables. A fun trampoline in the front yard for kids. The cabin is 1500 square feet and it was built in 2017. There are three bedrooms, one with an ensuite bath, one with bunkbeds and another with a single bed. Our large, open floor plan in the living area means you can lounge, cook, and eat together in the same space. Lots of natural light and views of the woods behind the cabin make this a nature-lovers dream house. We"re an international family and welcome visitors from all over the world and from all backgrounds. Currently the area does not support wifi. Hi! We are professors at Ole Miss and have lived in Oxford for almost 20 years. We enjoy our "getaway" from the big city (hehehe!) but like to share it with others, too. Both of us are from points further North (Canada, NYC) but we've come to love the Hill Country of MS! We hope you will enjoy exploring all the treasures the region has to offer. We are nature lovers and wanted our children to know the joys of exploring the outdoors without having to go very far. At the cabin you can see many varieties of MS wildlife and see the night sky. It's a little piece of peace far from the maddening crowd and bright lights of city living. Breathe in the woodsy smell of the cabin and enjoy a cup of coffee on the deck in the morning. We have binoculars if you'd like to take a little hike around our 4 acres, too. It was great! My husband & I were able to enjoy our wedding anniversary weekend, in total peace. 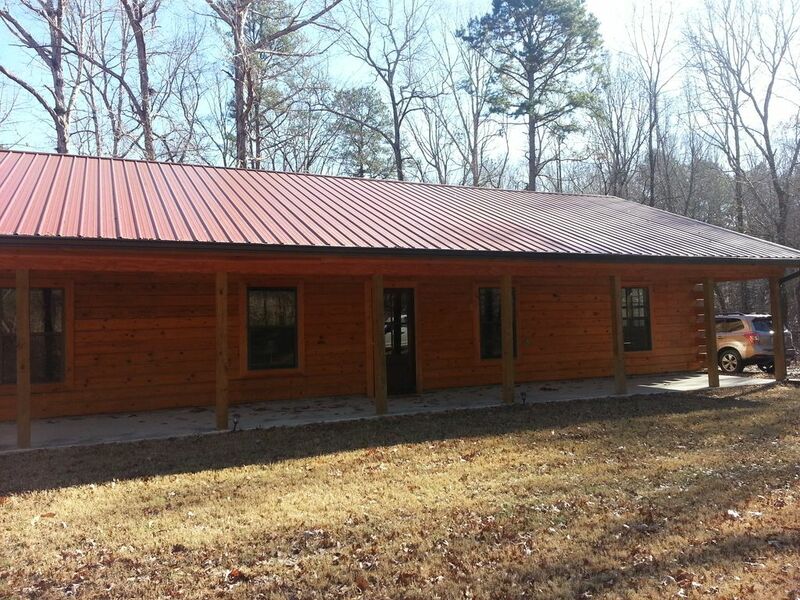 And the cabin, and property are gorgeous!